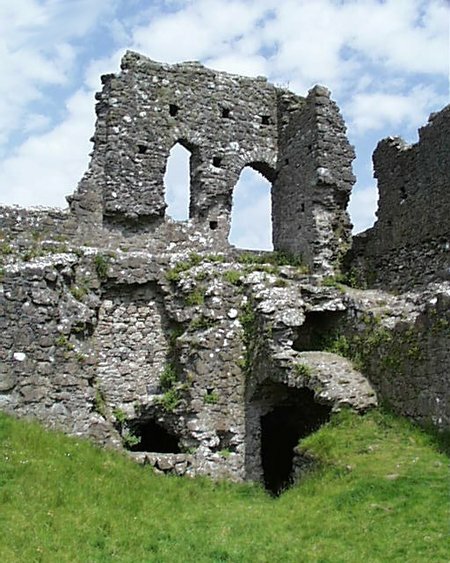 Castle Roche is one of the lesser known but more dramatic Norman Castles in Ireland. 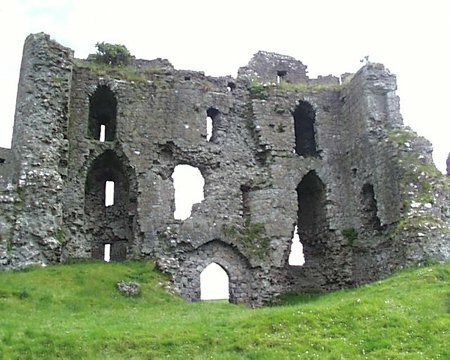 Sited on a rocky hilltop, the castle controlled a pass into Armagh. The castle is believed to have been built by John de Verdun who died in 1272. The castle is almost triangular in plan with a high wall around the central courtyard. This drops away on one side down a steep hillside while the other side to the north was controlled by a bailey which was separated from the castle by a rock cut ditch. 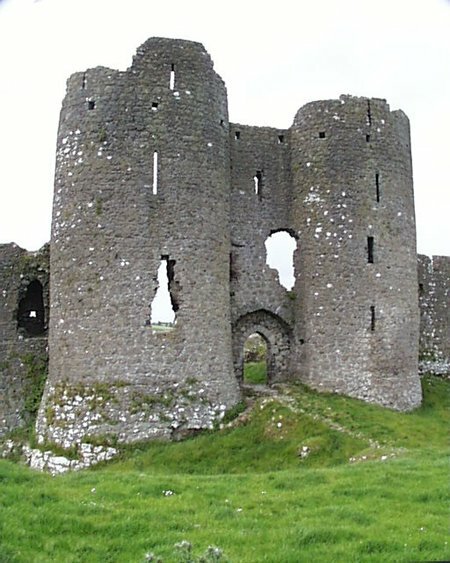 Entry to the castle was through the bailey, across a bridge and in through the gateway shown below between the two massive bastion towers. Whilst in a poor state of repair, the internal arrangements can be seen. Originally there was a two storey hall to the south, and various other structures within the walls. Due to the depth of the walls, various passages and walkways are visible and indeed explorable. In 1561, a meeting of all the English forces in Ireland took place here.